I think that one inherent disadvantage for Symbian compared to Apple and Android is the glamour factor. This can be demonstrated by looking at the comments stream to this excellent post. If it had been talking about Apple or Android it would have people crawling over themselves to comment. Symbian just does not elicit the same excitement. This means – more meaningfully perhaps – that developers gain more kudos for developing for one of the glamour platforms than for Symbian (despite its market share). 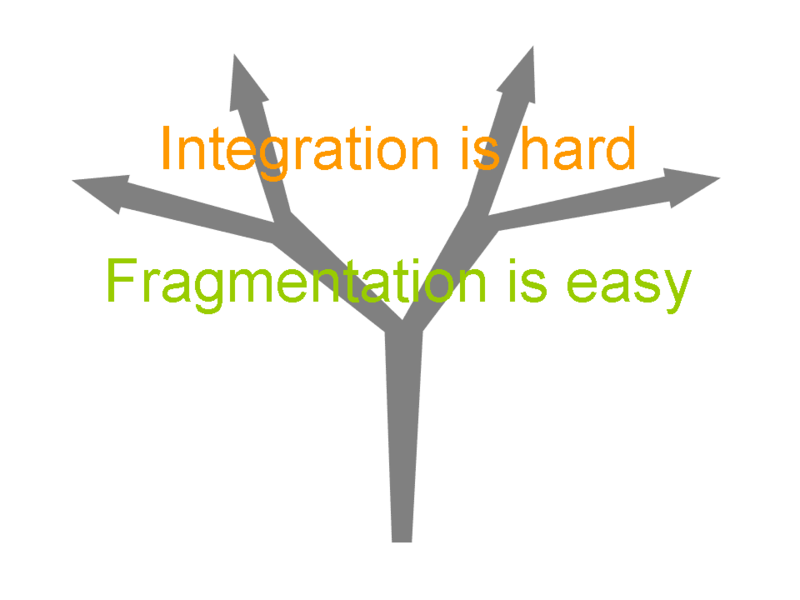 Scott suggests that one reason for the reduced excitement over Symbian lies “the complexity of Symbian. It is just too complex and developers stay away“. Previously, I’ve offered my own list of “Symbian passion killers” that can hinder developers from becoming fully inspired (and therefore fully productive) about creating software for Symbian OS. 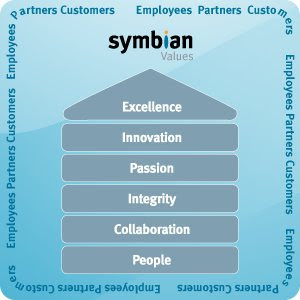 As I’ve said before, the plans for “Symbian 2.0” in the wake of the creation of the Symbian Foundation include several important projects to address passion killers. I heard quite a lot more, today, about developer passion. I was attending Day One of FOWA – the Future of Web Apps expo, taking place at London’s ExCeL conference centre. I experienced considerable déjà vu at this event, since the annual Symbian Smartphone Shows were held there from 2002 to 2007. The layout of the keynote hall and the so-called “university sessions” reminded me a lot of similar layouts from bygone Smartphone Shows. The audience seemed of comparable size too. But whereas the motivation of many who attend the Smartphone Show is to make business connections and to promote the success of their companies, the motivation I sensed from many of the FOWA attendees was rather different: it was to explore new technologies, and to exult in new products and new processes. What drives developers? It’s not just money. It’s building out communities. It’s building pride. It’s dedication and passion, not dollars and pounds. And I couldn’t help noticing how frequently speakers used words like “amazing”, “exciting”, “awesome”, “kickass”, and “cool”. At first I wondered if they were joking or being ironic, but then I realised they were un-selfconscious. They were simply being enthusiastic. Value happy coders! Happy coders are productive coders. Let them work with the languages they love! All this brings back to mind the glamour question: To what extent can Symbian’s developer events match this kind of enthusiasm – an enthusiasm driven by love of product and love of technology, rather than (just) love of market opportunity and commercial reward? To what extent can Symbian OS become viewed as glamorous and exciting, rather than just some kind of incumbent? Happily, there’s a lot of fascinating technology on Symbian’s roadmap. There are also new tools that should appeal to various different kinds of developers. For those who value choice of languages, there’s a growing range of language options available for Symbian OS. For those who are interested in the hardware, there are literally scores of new phone models in the pipeline. Some of this will fall under public spotlight in under two weeks’ time at the 2008 Smartphone Show. Mobile DevFest is Symbian’s premier conference for developers and has been designed to provide developers with deep technical training and information on building mobile software solutions for the next generation of mobile phones powered by Symbian OS. Mobile DevFest is the ideal developer event for anyone engaged in building, or interested in building mobile applications on Symbian OS. Mobile DevFest is the best way to stay ahead of today’s mobile technologies. It provides in-depth technical sessions, delivered by industry experts in the mobile development space. I’m eagering looking forward to taking part – and to gauging the degree of passion at the show. And in the meantime, if you think your own new product or solution for the Symbian space is particularly exciting, I’ll be pleased to hear about it!